One of the most unique points of our breed is its very special temperament. Not everyone can learn to live with this temperament, but for those of us that do, we find subsequently that it is hard to live with other breeds with more ordinary behavior patterns. The temperament of the Canaan is a direct result of the fact that this is what is called a primitive breed. What is a primitive breed? It is basically a breed that has retained the characteristics that were necessary for survival, and has not been changed as a result of many generations of human selection. Most breeds of dog have been changed even to an extreme from what the natural dog originally was, both in appearance and in behavior. Dogs were selected over hundreds of generations to be more suited to the area in which they lived, the task they were expected to perform, and to be more amenable to living with and being trained by man. The result is what we see all around us a wide variety of breeds, with enormous variations in structure, movement, coat, external appearance, and behavior. Over the last one hundred and fifty years dogs have also been selected for the show ring which has resulted in many show lines being quite different in structure and functionality from what the same breed was when it was used as a working dog. 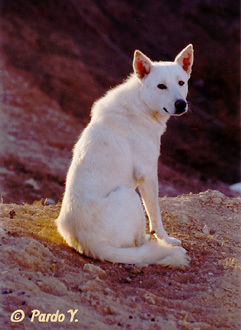 The Canaan is one of a very small number of breeds that has not been bred selectively in this way. The development of the Canaan has been controlled by natural factors: those characteristics, both structural and behavioral, that would allow him to survive most effectively were the ones that became set in the breed. Even once the breed began its history of close association with man and selective breeding some 65 years ago, the breeders (fortunately!) concentrated on preserving the natural dog and not in changing it. This was reinforced by the continuous introduction of new stock from the wild and the Bedouins. So what are the temperament factors that were essential to survival? First of all, high intelligence. Intelligence is indicated by the capacity to learn, to adapt to changing circumstances, to solve problems, to react effectively. The Canaan, throughout his history, has been faced by the necessity of keeping one step ahead in order to survive, and to cope with constant changes in his environment due to the turbulent history of his homeland. Over the last century, he has had to cope with the intrusion of modern civilization into his traditional territory and he has managed this very well! Despite the difficulties, there are still Canaans that survive as free living dogs, avoiding all attempts to destroy their packs. The intelligence of the Canaan is quite different from that of many of the breeds that we are more familiar with. 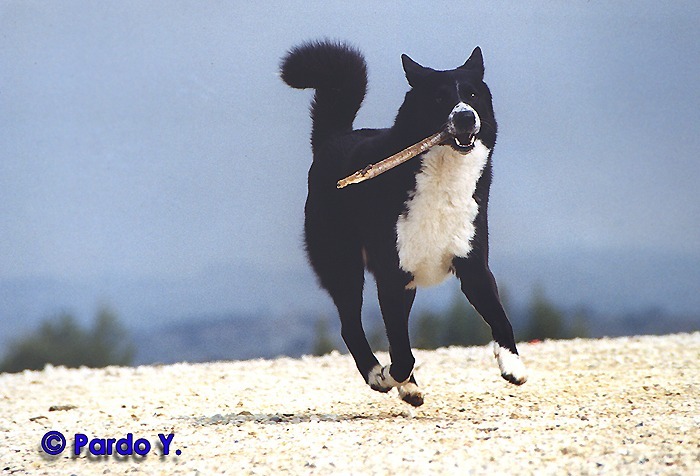 Herding dogs or hunting dogs, for instance, have been bred for many generations to be highly trainable and quick to learn what is expected of them, and then to be totally obedient and reliable in performance. This kind of obedient and submissive behavior has always been the example, to most dog lovers, of what canine intelligence is. The Canaan learns just as quickly as any other breed, and can learn as great a variety of commands and tasks. However, he is never blindly obedient. His response depends on him being sure that there is no danger to him in obeying, on his having complete trust and respect for his handler, and in feeling that doing what he is trained to do will bring him a positive benefit. I am fond of using the following comparison to illustrate this facet of the Canaan temperament you can take a German Shepherd (perhaps the breed most highly selected for total trainability and obedience) to the edge of a cliff and tell him to jump, and he will lick your hand and obediently jump. Tell a Canaan the same thing and he will look at you and say, You first! Another major characteristic is reactability. To survive in difficult conditions, the Canaan has to be able to react immediately to various stimuli. This means that, first of all, his senses are extremely keen and well developed, much more so than those of many other breeds. He has to be totally aware of what is going on around him. Another part of this is suspicion towards anything sudden or unfamiliar. This is a characteristic familiar to anyone who has worked with wild animals. A wild animal must be suspicious of anything strange and ready to react in a fight or flight pattern immediately in the wild, taking time to look things over will usually result in it being too late to safely react and protect yourself. And in most situations, all wild animals will use the flight option, unless the circumstances force them to fight. The Canaan is highly suspicious of anything he is not familiar with and his tendency is to back off as long as he is not sure that it is safe. This results in people that do not understand basic survival behavior calling him shy or cowardly at times. But this is not true. This is simple self-preservation. We see that Canaans that have a good deal of experience with varying environments, people, and situations are much calmer and less likely to be shy. They have learned what is normal and what requires a reaction. There is a good deal of difference in individuals, some being much more highly reactive than others. The relationship of the dog with his master and family has a good deal of influence on his reactivity as well. Over the last years, we have seen the development, overall, of a more stable and calm temperament. The Canaan, living more and more as a city dog and pet, has begun to adapt himself to his new life style, that of a 21st century dog. We should not penalize those Canaans that still show extreme reactivity, however, but try to help them with their adaptation to modern life. To the contrary, I think that we should penalize any Canaan that does not show basic traits of caution and suspicion. A dog that is friendly to everyone in all circumstances, unafraid of anything new or strange, and calm and accepting of everything -is not a Canaan! Another important temperament characteristic of the Canaan is his need for structure, to be part of a pack. The pack structure is a very basic part of the canine social structure. All dogs want to be part of a pack. Isolation is the most serious punishment you can use on a dog. 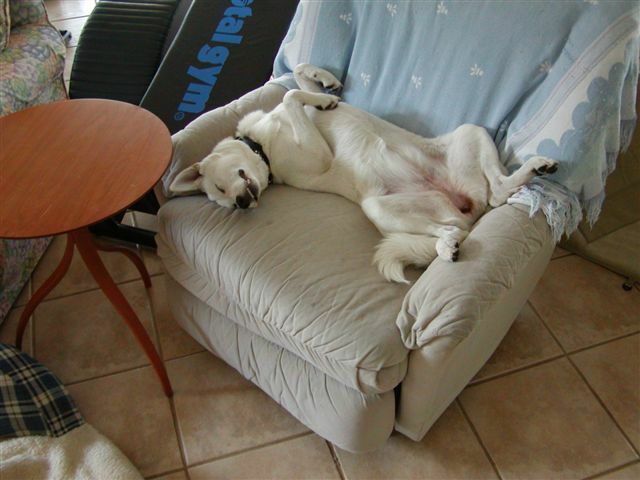 The Canaan, however, as a primitive dog, very much needs a well-organized pack hierarchy to provide him with the tools for coping with everyday life. In a pack, there is always a clearly defined and accepted leader, and this leader provides confidence and an example of behavior to the more junior pack members. The Canaan very much needs this hierarchy. He wants to know his place in the pack, and to have a leader that he can depend on. This gives him self-confidence and courage. If there is no leader, one of two things may happen. The dog may become totally lacking in self-confidence and be unable to cope with anything, and will then be labeled shy or cowardly. If he is a dog with a more dominant nature, he may decide that if there is no leader, than he will be the leader, and he becomes dominant, hard to control, and aggressive. This dog tries to lead, but doesnt have the experience to know how to react to various situations, and ends up making many mistakes, some of which may be serious. A Canaan who knows that you are his leader is self confident and content. He knows he can rely on you to give him the example of correct behavior that he must follow, and an indication of how to behave in unfamiliar circumstances. 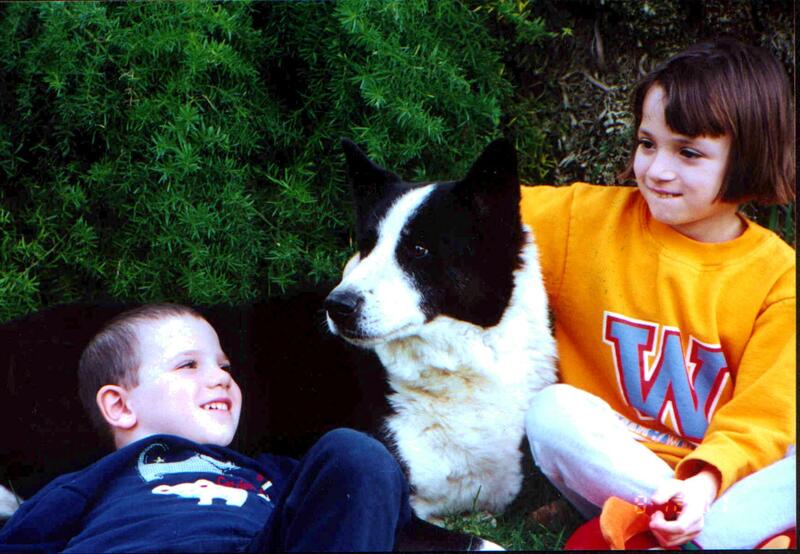 He also feels, as part of a pack, that he is not alone, but that he has support in coping with things. Associated with pack behavior is territoriality. Defense of the packs territory is essential to wild canines. 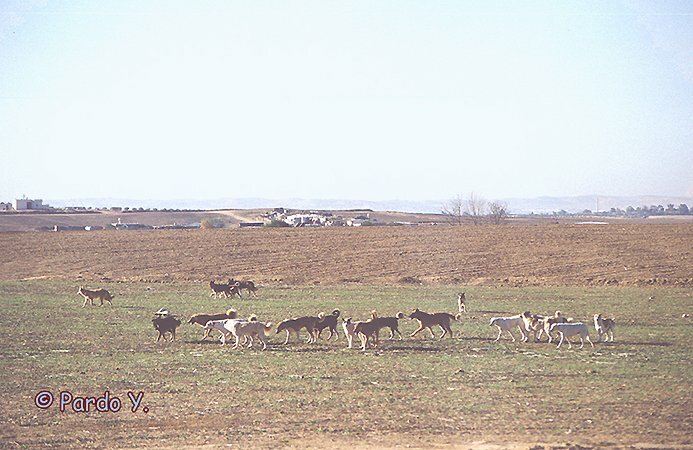 The territory contains the packs necessities for survival: food, shelter, and a place to raise offspring. Overpopulation of a territory, or its invasion by outsiders could have serious results for all. Out of this basic necessity of defending the packs territory has come the strong, well-developed instinct of the Canaan to guard and protect his property. The Canaan does not want strangers, whether human or animal, invading his territory, and he will do what is necessary to protect it. The territory includes not only an actual physical location, but whatever is within it, which may also be his humans, their possessions, other livestock and so on. Our own pet cats, for instance, belong to our territory and us, but strange cats from outside the territory are another story! As a function of the necessity to protect his territory and his pack, the Canaan will make use of aggression. As a rule, in all dogs, the amount of aggression used is the minimum that is necessary to gain the desired effect. If barking at approaching strangers is enough to deter them from entering the territory, this is the amount of aggressive display that will be used. I can have two groups of Canaans in adjoining yards, for example, and both groups will put on a big show at the fence, barking, snarling and threatening. But this is as far as it goes. Each group is putting on a display to define his territory, but as each group accepts the boundaries, there is no necessity for increased levels of aggression. 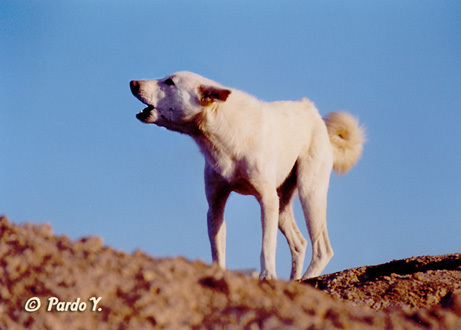 However, if a strange animal insists on ignoring warnings and enters the territory, or if one of the other pack members is physically threatened, than the level of aggression necessary may be greater, even to the point of a bite. In general, even when a dog bites, the bite is intended as a warning or display of strength and is not serious. It is anti-survival for a dog to be prepared to easily get into a physical confrontation with another; the possibility of serious injury that will hamper his ability to survive is too great. Serious problems tend to arise if the dog has been trained to bite. His natural inhibitions have then been removed artificially. In relation to territorial defense, the pack structure and acceptance of a leader are very important. When someone comes to visit me, my dogs see that I, as leader, accept and welcome the visitor. Therefore, it becomes clear to the dog that this stranger is not a threat to the pack or the territory and is acceptable. Such a visitor can come in, have no fear of being attacked, and the dogs will often even approach, inspect the newcomer and allow him to stroke them. If the same visitor, however, were to come when I was not at home, the dogs would not allow him to enter the territory. The same is true of strange dogs. This is harder for the Canaan to accept, as for him a strange dog is definitely more of a threat than a strange human. But I can, through my authority as leader, make it clear to my dogs that a strange dog is allowed to enter. They will not become friendly and accepting, but as long as I am in the vicinity and making the decision, they will accept the fact that the dog is allowed to enter. As the pack leader, I also make it very clear to my dogs that there is no necessity for defense or aggression when we are outside of our territory. Therefore, when I take the dogs out, whether to a show or other location, they are calm and accepting at meeting strangers and strange dogs. This is not their territory, they are on neutral ground and therefore can be neutral in their reactions. However, they may find it necessary to react with a warning or more (if the warning is not heeded) if a stranger, dog or human, gets too close, thus invading our personal space, or is in some way threatening. An excellent example of this was presented by Yitzhar (Isr.Ch. Bundessieger Yitzhar me Shaar Hagai) when I was travelling with him in Europe. When accompanying me on walks in new and strange surroundings, he totally ignored passersby, but if anyone started walking towards me, he would immediately stand in front of me in a protective stance, growling. Another excellent example was given by Hami (Isr.Ch.WW Hama me Shaar Hagai). I took her to our local obedience club occasionally. One day, the instructors were starting agitation on dogs that were in training for Schutzhund. I decided to test Hamis reactions. We stood in a circle with the other dogs and handlers, as the instructor, inside the circle, moved from dog to dog, flapping a burlap sack and making threatening gestures and noises. The other dogs were in hysterics, leaping up and down in excitement on the end of the lead, growling, snapping, and trying to lunge at the instructor as the handlers held them back. Hami stood quietly next to me, watching this display attentively, but showing no reaction. The instructor, seeing how passive she was, decided that she would not react, and lounged up to us, suddenly flapping his sack and waving his arms in threat. Hami instantly reacted, snarling and leaping, not for the flapping sack, but in the direction of his throat. The instructor stumbled back in shock. I was not surprised. Up to this point, it had been interesting to watch, but now the threat was personal and called for a reaction, which Hami immediately provided.